with the procession of the palms, Jesus enters Jerusalem, and we enter Holy Week. Lent is coming to an end. just because it happens every year doesn’t make it less startling. a new thing is about to come. not yet, but soon. we’ve kept the fast–imperfectly, haltingly, grumbling all the while. and, as is often the case, it was difficult in unexpected ways. but how will we keep the feast? the 40 days of preparation open onto 40 more days from Easter until the Ascension. and further on another 10 days to the coming of the Spirit at Pentecost. a full 50 days of Easter! 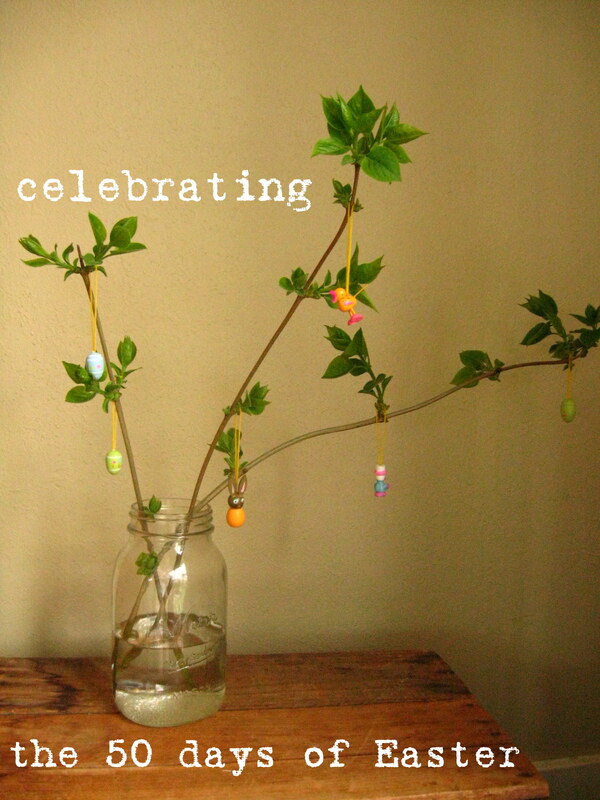 one of my favorite posts from a few years ago was a list of ideas for celebrating the 50 days of Easter. i want to give flesh to these ideas: to write more, experience them more. i want to put my hand to the task of living Easter, of practicing resurrection. so join me for simple saint day celebrations, reflections on nourishing homeschool and housekeeping routines, and favorite posts from the archives. in each we’ll endeavor to make straight paths for our feet. I am looking forward to all this. 🙂 Wendell Berry always has such interesting things to say. Yes, my main crop is the forest. Might have to go look over the fields today.